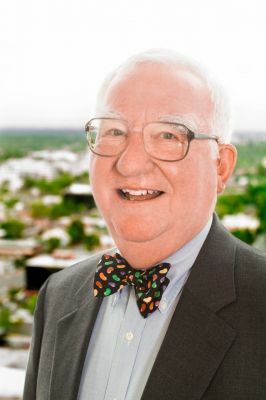 Peter G. Kumpe is a founding member of Williams & Anderson. His primary areas of practice are complex and class action litigation involving antitrust, securities, intellectual property, and other business matters. He is a seasoned trial lawyer with substantial jury experience. He also represents corporations and individuals in connection with regulatory and other investigations of business activities. His broad experience and the resources of the firm enable him to act as a general counsel in a variety of business settings. Prior to the founding of Williams & Anderson, Mr. Kumpe was a partner in one of the State’s largest law firms. He served on the Adjunct Faculty of the University of Arkansas at Little Rock School of Law teaching securities regulation from 1975 to 1978 and antitrust and trade regulation from 1980 to 1991 and again in 2007. He is a former law clerk to Judge G. Thomas Eisele, U. S. District Court for the Eastern District of Arkansas. He is a member of the American Law Institute. He serves on the Arkansas Bar Association Commission on Diversity, and served as its co-chairman in 2003-2004. He served on the Arkansas Supreme Court Committee on Jury Instructions-Civil from 1999 to 2004 and was Chairman of that committee from January 1, 2000, until the expiration of his term in 2004. He is a Fellow of the Arkansas Bar Foundation. Mr. Kumpe has served on the Foundation Fund Board of the University of Arkansas at Little Rock and on the University of Arkansas Foundation, where he served as chairman in 1998 through 2000 and again in 2010 through 2012, and now serves on its Executive Committee. He acts as general counsel for World Services for the Blind on a volunteer basis and also serves on that organization’s Board of Directors. He is an active member of Faith Evangelical Lutheran Church, and serves as Vice President of the Arkansas-Oklahoma Synod of the Evangelical Lutheran Church of America. He attended Duke University and graduated with a B.A. degree from the University of Arkansas at Little Rock in 1969. He graduated with honors from the University of Texas School of Law in 1972. During law school, Mr. Kumpe was inducted into the Order of the Coif and served as Managing Editor of the Texas Law Review. Mr. Kumpe is listed in Best Lawyers in America under Antitrust Law, Commercial Litigation, and Bet-the-Company Litigation; in Chambers USA as a “Leader” in the field of General Commercial Litigation; and in Mid-South Super Lawyers in the areas of Business Litigation, Class Action/Mass Torts and Antitrust Litigation. Mr. Kumpe is an avid fly fisherman. He and his wife, Trudy, have three children.